GDPR is such a boring topic isn’t it? And we’re sure you feel the same way. But if you have leads and customers from the EU, nothing can’t be done about this boring stuff. You need to make sure you’re GDPR-compliant. GDPR deadline is May 25, 2018. Make sure you take the steps to implement them so that you become GDPR-compliant. Have an amazing day as always! This entry was posted in New Features, News & Announcements on 24 May, 2018 by Welly Mulia. This new option released in Zaxaa product allows you to have different checkout page header logo for each of your product, while you can still use the front store logo as your global one. This means you’ll have the ability to use your single Zaxaa account for your different brands to sell different products. To enable this feature you can simply edit the product you want to give its own header logo. Don’t forget to click “Save Changes” button to update the product. This entry was posted in New Features on 28 February, 2018 by Welly Mulia. In order to improve safety and convenience of checkout in Zaxaa using Stripe, we have just updated Stripe integration to use their new features which are Stripe.js & Elements (https://stripe.com/elements). These changes will increase security since your customer-sensitive information such as their credit card data will never touch our (Zaxaa) server. All of this sensitive information is fully handled by Stripe. These changes will also allow you to use newer Stripe account which is no longer works using old integration. We have also simplified how your Stripe plans are created. We used to create a new plan for EVERY and EACH customer. This means you will see a lot of same plan in your Stripe account. With this change, the next customer who subscribed to the same plan won’t create a new plan in your Stripe account. Therefore, it will be easier for you to manage plans in your Stripe account e.g. getting analytics or insights. 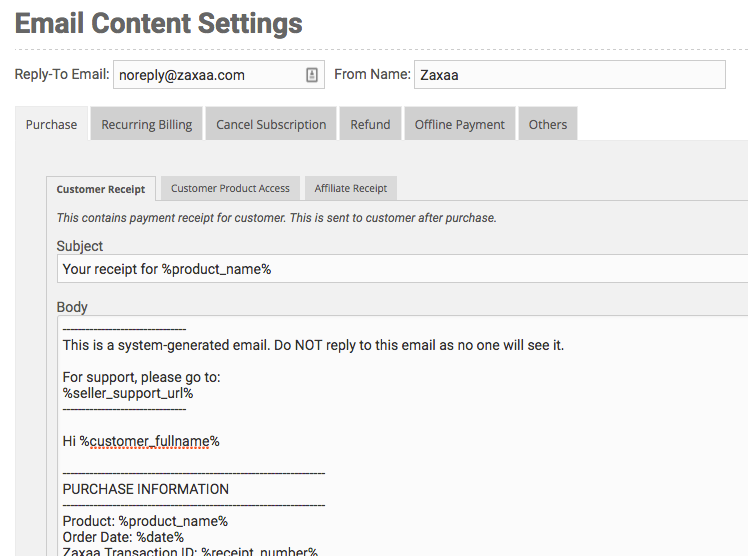 As a seller, there is nothing you need to do to use this new integration since Zaxaa will automatically apply it to your checkout pages. However, for you who use embedded payment form, you need to re-generate it to use the new integration (http://help.zaxaa.com/sellers/checkout/embed-customize-payment-form-on-your-own-site). This entry was posted in New Features on 13 February, 2018 by Welly Mulia. This new feature that we’ve just released recover ‘almost lost’ sales for you without you having to do anything extra on your part. With subscription offers, there is always going to be ‘failed payments’ — i.e. payment can’t be retrieved from your customers’ payment method on file. Whatever the reason is… with this new feature, our system automatically notifies your customers that their payment method on file can’t go through, and prompts them to update their credit card or payment details. This will recover some ‘almost lost’ sales every month for you. Multiply that by 12 and you’ll save some significant amount of sales over the next year! You don’t have to do or activate anything in your account. This feature is automatically enabled in your account. This entry was posted in New Features, News & Announcements on 31 August, 2017 by Welly Mulia.